Can HEPA Filters Be Washed and Reused? If you’ve purchased a device that uses a HEPA filter, you’re probably aware that most HEPA filters need replacing after extended use. 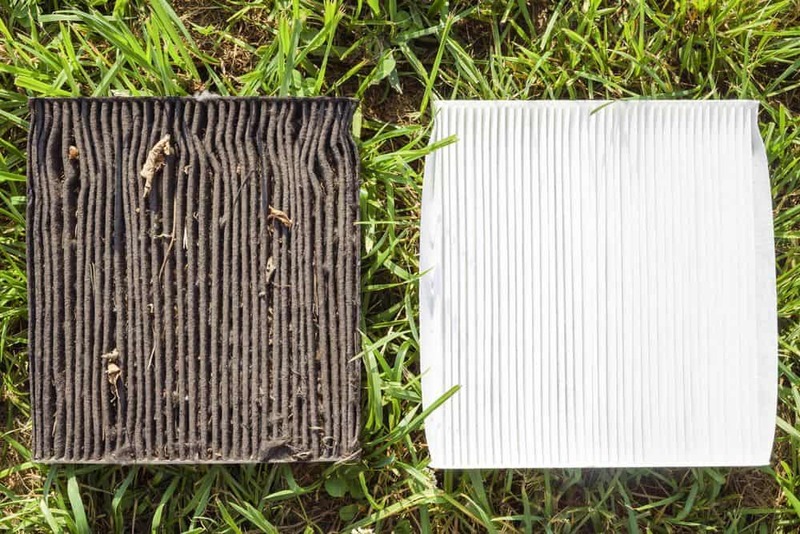 For those of you who don’t know what a HEPA filter is, the filter is commonly used in filtration systems, and it traps dirt, impurities, dust, allergens, and much more in the air. Disclaimer: Why Shouldn’t You Reuse HEPA Filters? 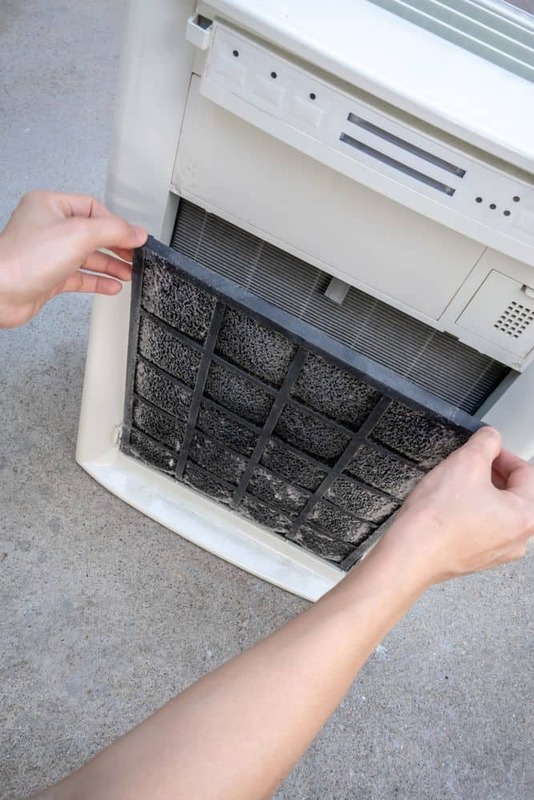 After having a HEPA filter running for a while, you will need to replace the filter because there will be a buildup of unwanted particles and bacteria. If you learn how to properly clean them, then you can reuse the filter, saving you money in the long run. In this article, we will discuss the different types of filters and answer your question of "can HEPA filters be washed and reused?" Most, if not all HEPA filters are going to be advertised as being non-washable and will be needed to be replaced every few weeks to months depending on the make and model of your device. If your device is a filtration system that runs at high capacity every day, you’re going to need to determine if the filters you are using can be reused. You can try to clean them and reuse them, even if the brand says to discard them after use, but be aware that they won't be operating with the same thoroughness afterwards. 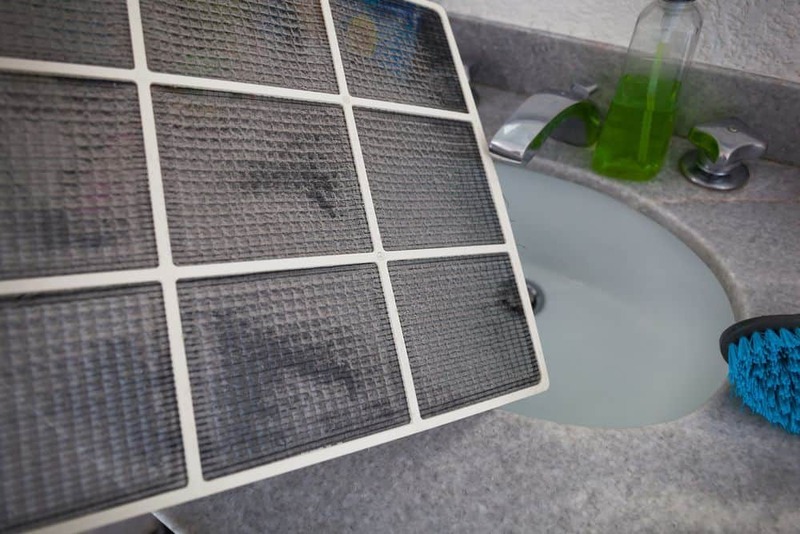 There are a few different methods you can use to clean your HEPA filter. Listed below are the recommended methods you should use to clean your filter. Each HEPA filter will need to be cleaned differently depending on the make and model of the filter. HEPA filters that are made from PTFE fibers, which are very porous and are built from activated carbon, can be washed. To clean the HEPA filter, you should use a strong stream of cold water and not use any detergents or other chemicals. You should not rub or brush the filter, as this could damage it and cause it not to work properly. Wash it in cold water, being very gentle and making sure you don’t damage the filter. When it starts to go from a dirty color to clear, or it’s original color then you’ll know it’s cleaned. Let it air dry completely before installing it back into the filtration system. Another way you can clean HEPA filters is by using your vacuum to remove dust, dirt, and other particles from the filter. This method is not as good as the washable method and will leave behind some residue. Attach the fabric attachment to your vacuum cleaner and gently run the cleaner over the HEPA filter to try and remove the excess dust, dirt, and particles. After that, dampen a soft washcloth under cold water and squeeze out the excess water. Wipe any remaining grime and dirt from the filter and then rinse the cloth repeatedly if you need to wipe more than one time. If you don’t do this, then you’ll just be putting the grime and dirt back onto the filter, which will defeat the purpose of washing it. Next set the HEPA filter on a soft surface to let it air dry. You do not want to place it in any sunlight, as this can end up damaging the filter. Lastly, you can rinse the filter under cool running water to remove any other dirt. Use a cloth as needed to help get rid of any remaining dust or dirt. Do not use any chemicals or soaps, as this can cause the filter to become damaged and not work properly. If you have to use soap because of a buildup of stuck particles, then we suggest putting a tiny drop of dish soap into a bowl of cold water and using that. Place the filter out to air dry completely before putting it back into the filtration system. While being able to reuse HEPA filters seems like a dream, you need to be aware that this isn’t always the best method. Keep in mind that objects that are said to be usually replaced need to be replaced because they won’t work at max performance after a use. HEPA filters can be vacuumed, but in the process, the HEPA filters are designed to trap particles up to 99% accuracy; this means that it’s near impossible to vacuum all of the remaining particles and bacteria from the filter. You may end up damaging the filter by washing it, as it is extremely fragile. And if you do not let the filter dry completely before using it in your filtration system, you may be causing the filter to grow mold and spread it throughout your home. Please be considerate of these facts before you go and attempt to wash your HEPA filter and reuse it. HEPA filters are designed to trap particles and help your home produce safe and fresher air. Just remember that you really should consider replacing your HEPA filters every few uses, especially if you’re planning on reusing them. While the filter may not look like it is damaged or broken, the filter still won’t always be working at maximum performance. Which is vital to your home and your air. So to answer the question, "can HEPA filters be washed and reused?" the answer is yes and no.